Whether you have just arrived in the UK or you have lived here all of your life, if you would like to apply for the EU Settlement Scheme the Advice Service can help. 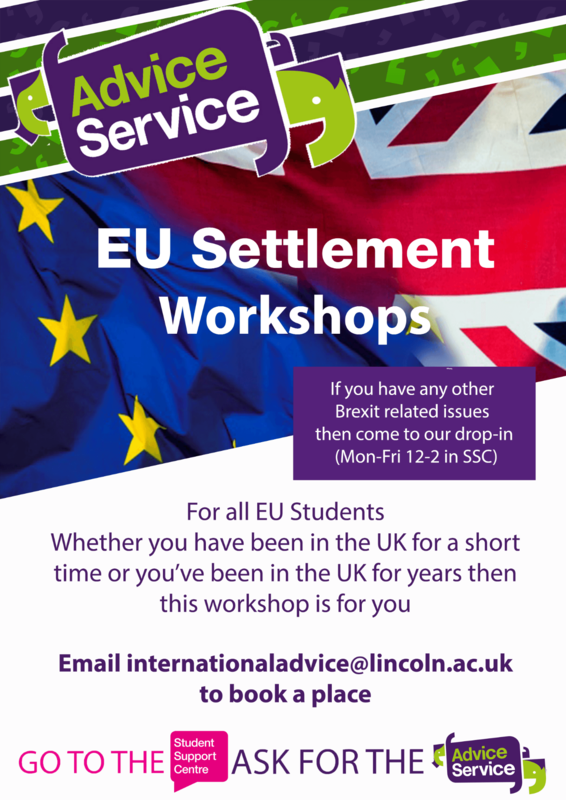 We will be running EU settlement Scheme workshops. During these workshops we will be able to guide students through the application process and answer any questions associated with the scheme. The Advice Service located in the Student Support Centre have specialist advisers who can give comprehensive advice about how Brexit will affect any student or their family members.